Clipless pedals have become the gold standard for riders looking to get the most out of every rotation. Whether you’re in a road race or on a rocky mountain trial, these locking pedals add an extra level of security and stability in the most intense situations. But to maintain that tight fit – and still be able to clip out at a moment’s notice – it is important to regularly inspect and care for your pedals and the cleats on your riding shoes. Both parts will wear out over time, so you should replace them if you notice any damage or they fail to keep you locked in. 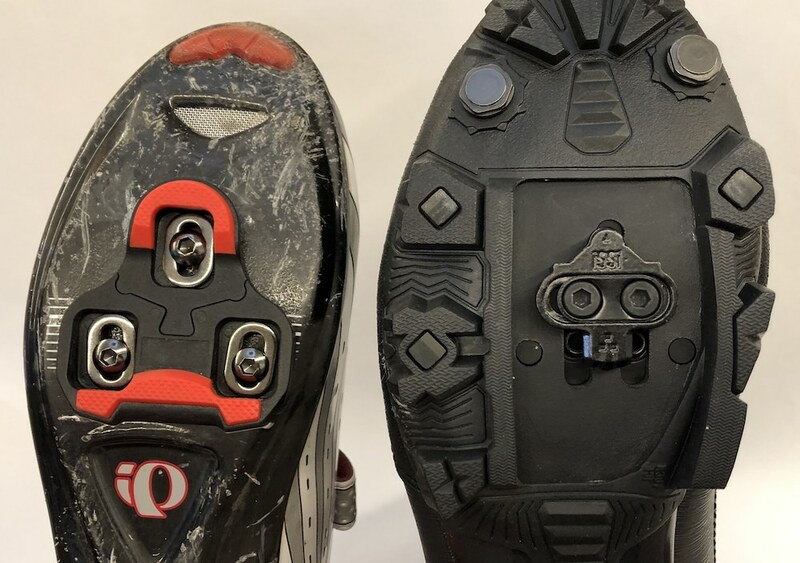 Since we’ve already covered How To Remove and Install Bike Pedals, let’s take a quick look at replacing your clipless pedal cleats. If your cleats look like this, it might be time to replace them. When is it time to replace your cleats? The short version is: whenever you don’t feel secure. Damaged and worn-out cleats tend to slip out of your pedals more easily, leading to mishaps in rough terrain and a constant struggle to properly clip in. 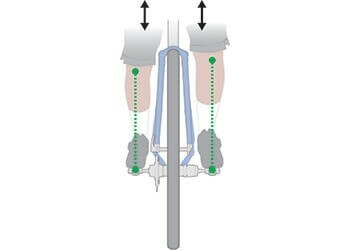 If you feel like your feet are coming loose from the pedals when you don’t want them to, take a look to see if they have taken any damage. This most often occurs after intense, long-term use, or from walking around on hard surfaces like rocks or pavement. And of course, make sure that your cleats are clean so that you don’t confuse dirt with damage. Your pedals could also be the culprit, so be sure that you inspect these for damage as well. If they are, you should replace them too. 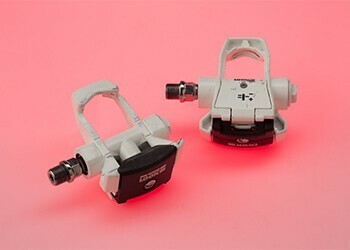 iSSi makes cleats to fit the two most prominent styles of clipless pedals used in the cycling world, the two-bolt SPD compatible cleat and the three-bolt KEO compatible cleat. Besides the number of bolts used for attachment, the key difference between these two styles is their location on your shoe. 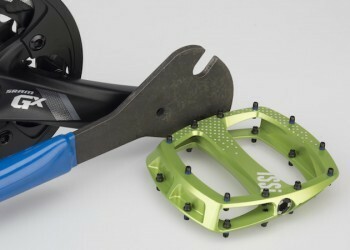 Three-bolt cleats attach to the bottom of the sole while two bolts are recessed into the sole itself. 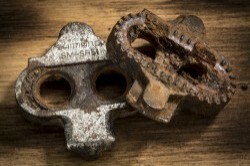 These alternative designs lead to the main differences between how each cleat is removed and replaced. Generally speaking, two-bolt cleats may require more steps to change because of the components inside of your shoe, but they are easy to adjust and reposition. Installing a new three-bolt cleat is pretty straightforward, but it can be a bit harder to put back into the same position as the old one. But we’ve got a solution for that, which we’ll get to in a moment. 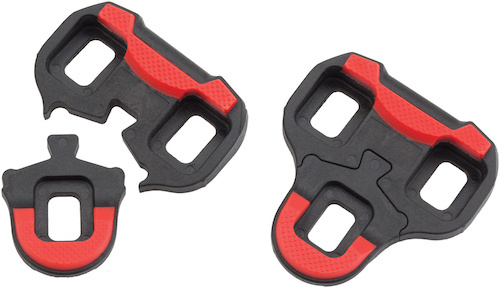 Cycling cleat attachment is relatively simple, so you won’t need many tools to get the job done. A simple set of hex wrenches will do the trick (our cleats use either 3 or 4mm wrenches, but other brands may vary). But some bike grease, medium-strength thread-locking adhesive (such as Loctite Blue 242) and a pair of needle nose pliers will be helpful as well. 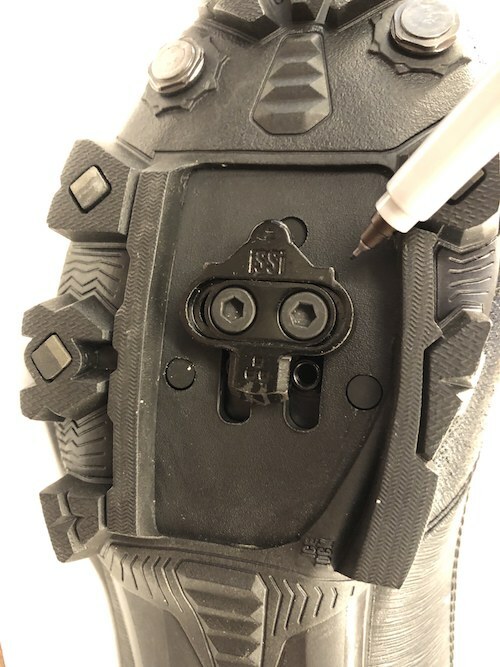 Some two-bolt shoes will have their mounting holes hidden by covers on the sole when no cleat is attached, so you may need to remove this before starting. Additionally, these shoes may also require internal access for washers or other small parts. Simply remove the insole of your shoe to get to these. If you love the placement of your old cleats, be sure to mark their location in the channel for reference later. We recommend using a marker or tape to mark the position of your old cleats or taking a photo that can be used as a reference when you’re installing the new ones. Our 3-Bolt cleats can be replaced one half at a time, so it’s easy to keep them exactly where you want them. Three-bolt cleats can be repositioned on your shoe by loosening the bolts and sliding the platform to the desired spot. But because these adjustments are made with the cleat itself (and the holes stay put), finding that perfect place again can be tough. Fortunately, we have a solution that will save you from having to find the ideal mounting position again. The iSSi 3-Bolt cleat has a unique design that allows you to replace them one half at a time. That way, you can leave one section in the right place while swapping the other, ensuring that nothing has moved in the process. Then just tighten the new side and replace the other. You’ll be locked-in tight in no time. You can mark the position of your old cleats for reference later. We promise no one will notice. Line up the threaded bolt holes of the cleat washer over the double channels inside the sole of the shoe. Place a cleat on the outside of the shoe with the cleat’s rough side towards the shoe. Apply grease to the outside of the cleat in the channel where the right-to-left bolt washer sits. Insert the right-to-left bolt washer so that the countersunk holes are facing up. Apply some grease to the outside of the bolt washer. Insert bolts and position each cleat to desired location and then tighten. Now you should be ready to lock and roll! For more helpful tips and “How-Tos,” check back here soon!